Defending and defeating class actions and unfair competition claims are critical to today’s businesses. BartkoZankel has successfully defended numerous class actions on behalf of our clients, winning motions to compel individual arbitration and defeating motions for class certification. Our lawyers are also among the few who have tried a class action jury case, obtaining a defense verdict. 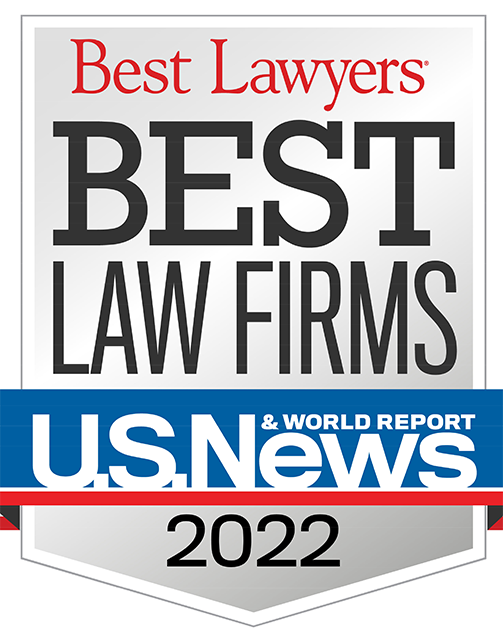 As a boutique California law firm, we work strategically with other advisors and groups of clients, often in a leadership role. The internal environment at the Firm is collaborative rather than hierarchical. Unlike large law firms, we do not staff cases with more associates than partners. The Firm is able to pull expertise in antitrust, intellectual property, environmental and products liability disciplines from among our group of talented trial lawyers. We are experts in alternative fee arrangements and utilize such arrangements in a variety of matters. 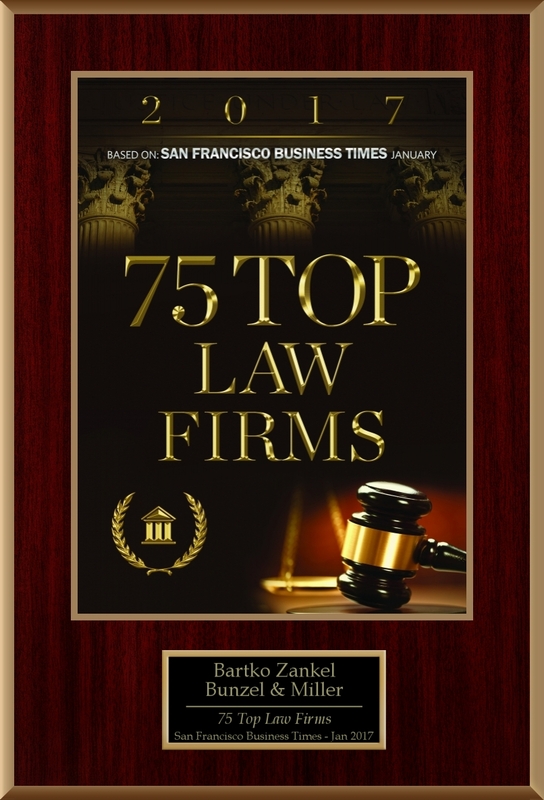 BartkoZankel has achieved excellent results for its clients in high-stakes matters, including the recovery of over $100 million for investors arising out of a large Ponzi scheme, and a verdict of $108M against a financial services firm that injured two corporations in a merger. The Firm has an extensive ADR (alternative dispute resolution) practice. We have handled domestic and international arbitrations for many clients, including class action arbitrations. The Firm successfully represented one of the world’s largest retailers in an international arbitration related to expansion of its Asian operations, and are presently seeking $100 million for a large healthcare company in arbitration. We are often “lawyers’ lawyers”: asked to represent clients, attorneys and law firms in connection with professional responsibility and ethical issues. One of our attorneys recently submitted expert testimony in the High Court in London on the law of breach of fiduciary duty in California. (ND Cal). Defended vendor of HVAC equipment in 8‑year old antitrust monopolization and conspiracy case. Case tried to jury verdict October 28, 2010 following 7.5‑week trial where plaintiffs requested $34 million in damages before trebling and attorneys' fees. Jury in 3 hours returned total defense verdict. (ND Cal). Firm attorney defended antitrust claims and filed counter-claims under the Computer Fraud and Abuse Act (CFAA). Obtained summary judgment in client’s favor, which found that plaintiff had violated CFAA as a matter of law, and successfully settled antitrust action. Case reported at 725 F. Supp. 887. (ND Cal). Defense of Hynix executive in criminal antitrust price‑fixing case in the dynamic random access memory (DRAM) industry. Over 19 million documents were reviewed and databased. All other corporate and individual defendants pleaded guilty and the U.S. Department of Justice collected $732M in fines and penalties. After a month‑long trial, the jury was deadlocked at 10‑2 in favor of acquittal. The Department of Justice dismissed the case. Grafton Partners v. PricewaterhouseCoopers, et al. (Alameda Sup Ct). Prosecution for investor class victimized by a Ponzi scheme. Working with the SEC and its receiver and a bankruptcy trustee, we crafted litigation strategies to sue deep pocket parties who had enabled the scheme to go forward. We recovered in excess of $100 million in settlements for the class from a major California bank, an international accounting firm, and several law firms. The case generated several Court of Appeal and California Supreme Court opinions, including at 36 Cal.4th 944. In re: Static Random Access Memory (SRAM) Antitrust Litigation. (ND Cal). Firm attorney led multi-client and multi-law-firm joint-defense team tasked with opposing class certification for all defendants in antitrust indirect purchaser action, and obtained preclusive sanctions against plaintiffs for spoliation of evidence and the failure to disclose to defendants data and information considered by plaintiff’s experts in formulating their opinions in support of class certification. Gold Fields, Ltd. v. Harmony Gold Mining Company, Ltd.
(SDNY). Provided strategic advice to South African mining company in connection with highly publicized hostile take‑over bid. Matter involved assistance in valuation of client in light of various misrepresentations. United States of America v. Pfizer, Inc.
(ND Cal). Defense counsel in criminal price‑fixing case relating to sodium gluconate, an organic chemical used as an industrial cleaning agent. Case ended with plea bargain. Prior thereto, there was significant analysis of market share and projected sales and profits. Case was followed by private antitrust cases. United States of America v. Charles Wong, et al. (ND Cal). Civil and criminal action related to alleged misrepresentations in shipping contracts to Hong Kong and mainland China. Extensive depositions taken in Hong Kong. Agrical, Inc. v. Deloitte & Touche, et al. (Fresno Sup Ct). Represented international law firm regarding international investments brought against legal, banking and accounting firms. International discovery and requests for judicial assistance involved Italian, Swiss, and Liechtenstein hearings and entities. SEC investigation related to sufficiency of risk disclosure to shareholders preceding a 1993 write down of $460 million in company’s $2.1 billion real estate portfolio, resulting in corporate securities consent decree. Firm represented director of related real estate company. United States of America v. Sarno, et al. (CD Cal). Federal investigation and criminal trial regarding false statements to federally insured bank for $15 million financing of real estate project involving materiality of pro‑forma statements, bank complicity, and good faith reliance on accounting professionals’ advice under GAAP. (D Alaska). Antitrust action for plaintiff partner in North America’s largest gold mine against joint venture partner that was preventing our client from independently selling its interest. Case filed under seal as unique procedure to cause immediate settlement that allowed client to sell its stake to a major gold producer for $80 million. United States v. Thomas Modisette and MacFarms International, Inc.
Criminal investigation by DOJ (Antitrust Division) in alleged criminal conspiracy to fix the price of agricultural products (macadamia nuts). After extensive submissions by counsel, including offers of proof and witness interviews, the government abandoned the investigation. (Santa Clara Sup Ct). Represented electronics company founder against Japanese shareholders in breach of fiduciary duty case that required extensive foreign discovery, including multiple depositions in Tokyo and Osaka U.S. embassy/consulate as well as compelled third‑party testimony in Japanese courts. (Sacramento Sup Ct and Third Dist Ct of Appeal). Represented Sutter Health in defense of 12 coordinated class actions against medical foundation and affiliates for alleged violation of medical information privacy statute. Obtained writ directing trial court to dismiss the case. Case reported at 227 Cal.App.4th 1546. (SF Sup Ct and ED Ohio). Represented current owners of San Francisco 49ers football team against co-owner, alleging co-owner and affiliated companies breached fiduciary duties and seeking $100 million in damages and control of the team. Strategy led to negotiated settlement and division of assets. (ND Cal and 9th Cir). Professional negligence jury verdict and judgment of $108 million against investment banking firm Bear Stearns, reduced by the trial judge to $36 million. The opinion on the appeal before trial is a leading authority nationally on the existence of fiduciary duty between a corporation and its expert advisors, 97 F.3d 1171. (SF Sup Ct). Represented California affiliates of national finance company in defending representative B&P Code section 17200 action construing installment and payday loans in California. (SD Cal). Represented world’s largest retailer in defense of national class action. (ND Cal; 9th Cir). Defeated class certification motion in connection with California class action by janitorial franchisees for alleged violation of wage and hour laws. Pokorny v. Quixtar, et al. (ND Cal). Represented major Quixtar/Amway distributors and principals in national RICO class action alleging illegality of Quixtar business model. Successful settlement and full release obtained for clients with no monetary contribution.